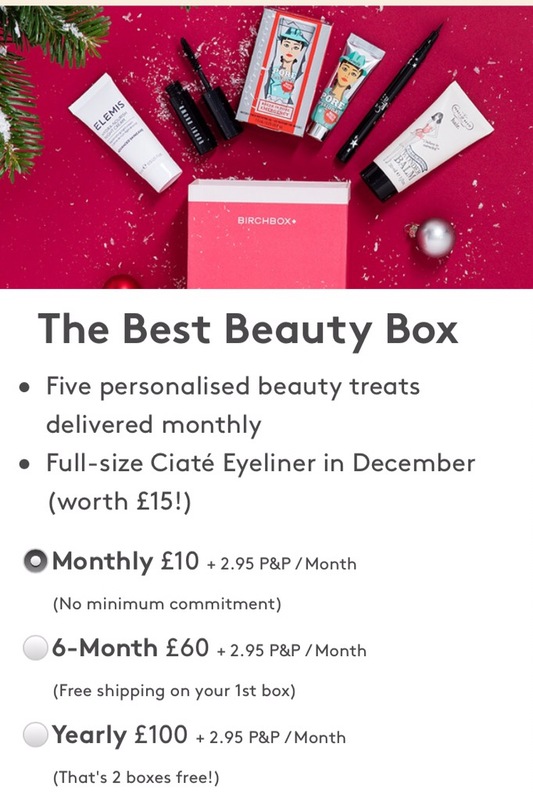 Birchbox is one of my favourite monthly beauty boxes and currently there is a great offer on for new subscribers. When you sign up / take out a subscription (which you can cancel at any time) and add the code REDLIP at checkout you will get a FREE Full Size Smith & Cult Lip Lacquer (worth £21) while stocks last and if you use my referral code here (which would be much appreciated) you will also get £5 Birchbox points to spend in the Birchbox shop. A monthly subscription is £10 plus £2.95 P&P and there are five personalised (based on your profile) beauty treats in the box/bag every month. Perfect treat for yourself or as a gift. Please see *insert / photos below and link here for further subscription offers / details. There will be a Full Size Ciate Eyeliner included in every December box.